Steve Hutchinson is back in Minnesota this weekend for another big opportunity, 12 years after he left Seattle in one of the most infamous free agency moves in NFL history. As he waits to learn whether he will be inducted into the Hall of Fame this year, making the media rounds in Minneapolis, he has discussed his off-field legacy almost as much as what he did on the field. 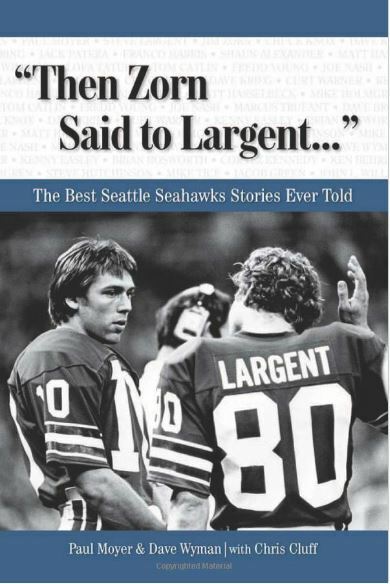 Most of the Hutch Poison Pill story is well-known by Seahawks fans, but Holmgren and Hutchinson got together on KJR on Thursday and revealed some more details of one of the most dramatic stories in NFL free agency history. Will Hawks & Pack trade another GM? Are the Seahawks and Packers about to engage in another deal involving a football boss? In 1999, the Seahawks sent the Packers a second-round pick for Mike Holmgren, who became Seattle’s coach and general manager. Among the former Packers personnel guys Holmgren hired early in his Seattle tenure was John Schneider, who then bounced back to Green Bay in 2002 and returned to Seattle to join Pete Carroll in 2010. Now, 19 years after that Holmgren trade, the Packers reportedly are trying to get Schneider back for a third stint with the team. The Seahawks reportedly turned down the Packers’ request to interview Schneider, so the story is over unless: (1) Schneider really wants to go back to Green Bay and (2) the Packers want to give up a draft pick or two for him. 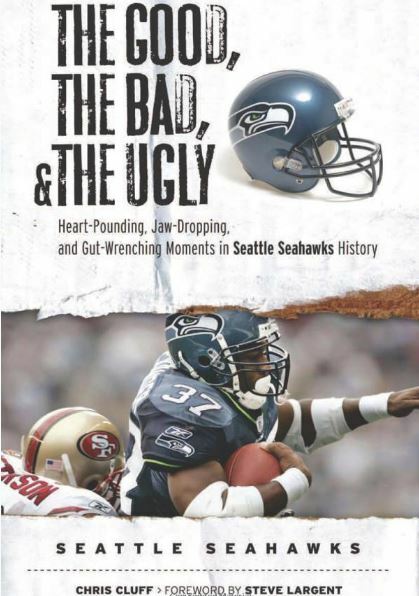 The Seahawks are headed back to Green Bay this weekend to renew one of the best non-division rivalries in the NFL — the fifth time in five years they will have faced each other. While the Hawks (8-3-1) fight to hold on to the No. 2 seed in the NFC, the Pack (6-6) is trying to get back in the hunt. It’s just the latest dramatic meeting between the two franchises, which have been deeply intertwined since 1999. 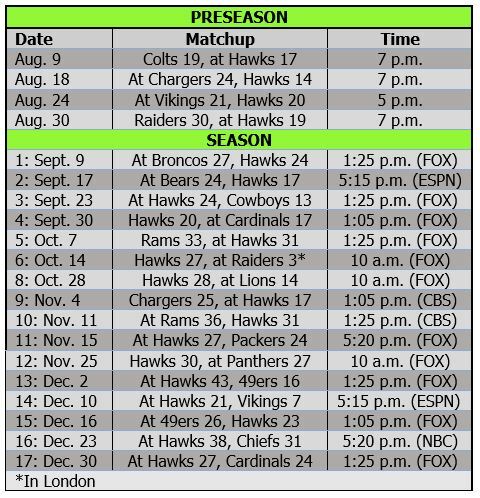 Newer Seahawks fans might think the Packers-Seahawks series consists of three games: the Hawks’ infamous Fail Mary victory on a Monday night in 2012, Seattle’s 20-point win in the opening game of 2014 and Seattle’s miracle comeback in a 28-22 overtime win in the NFC title game. But this series was full of great matchups back when Mike Holmgren and quarterback Matt Hasselbeck were leading the Hawks against their old team — led by Brett Favre — and this will be the 13th meeting since 1999. Russell Wilson said he will be “ready to roll” against the Rams. The trip to Los Angeles will be special for Pete Carroll and all of the California Seahawks. 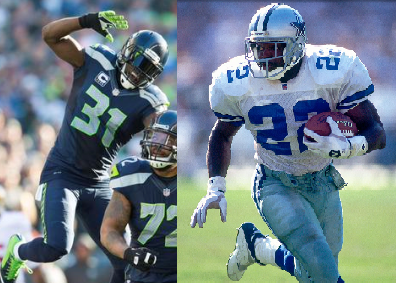 Carroll explained this week’s roster decisions at corner and fullback. Earl Thomas said he was so upset about his play vs. Miami that he quickly left without showering. A lot is being made of the fact that Seattle is the only place Ben Roethlisberger has not played in his 12-year career, but the fact is he and the Steelers were supposed to come in 2011. And then the NFL changed the scheduling rules. Starting in 2010, teams from the East no longer had to make two trips to the West in a season. The Steelers were slated to go to San Francisco and Seattle in 2011, but the NFL swapped Seattle out for Arizona, and the Seahawks ended up going to Pittsburgh. The Seahawks have played in Pittsburgh twice since the infamous Super Bowl XL, getting shut out both times — Mike Holmgren’s Super Bowl remnants lost 21-0 in Mike Tomlin’s first year leading the Steelers in 2007, and Pete Carroll’s rebuilding club lost 24-0 in 2011. This meeting comes on the 10-year anniversary of the Super Bowl XL season, and the Steelers had a reunion of that team a few weeks ago. Four players — Roethlisberger, tight end Heath Miller, linebacker James Harrison and long snapper Greg Warren — remain on the Steelers from that Super Bowl team. As the Seahawks prepare to travel to Green Bay for the first time since 2009 — and the first time under Pete Carroll — the Packers are itching for revenge. They won’t tell you that; but, after their 2014 season started and ended with embarrassing losses to the Seahawks — one by blowout and the other via historic comeback/meltdown — of course they want retribution. It’s just the latest dramatic meeting between the two franchises, which have been deeply intertwined since 1999. This will be the first in-season trip back to Green Bay for John Schneider since he left the Packers to become Seattle’s GM in 2010. It also will be besieged OC Darrell Bevell’s first game back in his home state since he was coaching the Vikings in 2010. It also will mark the return of one-time Wisconsin star Russell Wilson. 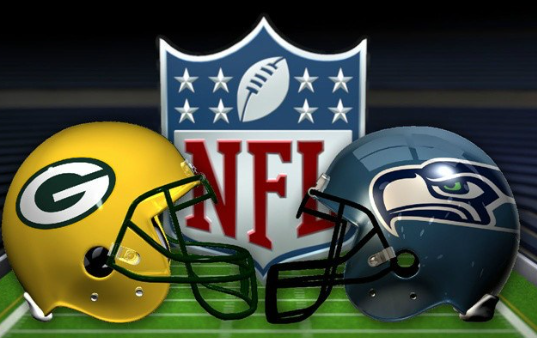 Newer Seahawks fans — and there are plenty of them — might think the Packers-Seahawks series consists of three games: the Hawks’ infamous Fail Mary victory on a Monday night in 2012, Seattle’s 20-point win in the opening game of last season and Seattle’s miracle comeback in a 28-22 overtime win in the NFC title game. But this series was full of great matchups back when Mike Holmgren and quarterback Matt Hasselbeck were leading the Hawks against their old team — led by Brett Favre — and this will be the 12th meeting since 1999. The latest in Russell Wilson talks: The Hawks reportedly have offered a deal worth $21 million per year but paying less than $20 million in 2015. Field Gulls said the Hawks offered $54 million guaranteed last month. Former Seahawks coach Mike Holmgren, who once was John Schneider’s boss, apparently has heard the Hawks’ offer, too, and thinks it is “very fair” and Wilson should take it. Easy for him to say, of course. Meanwhile, Wilson is working on his boxing in San Diego ahead of training camp starting Friday. Word also came that the Seahawks are closing in on a deal with Bobby Wagner.